Former Prime Minister and senior Congress leader Manmohan Singh is scheduled to arrive here on Sunday, heading the party’s policy planning group on Jammu and Kashmir, in an effort to bring peace in the state. 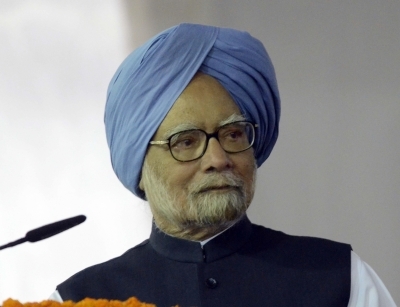 Security has been tightened in Jammu as Manmohan Singh arrives here, heading the party’s policy planning group to interact with the leaders of like-minded political parties and cross sections of the local society in order to find ways and means to bring in permanent peace to the state. Congress sources said senior party leaders including P. Chidambaram, Ghulam Nabi Azad, Ambika Soni and Karan Singh are accompanying the former Prime Minister on the two-day visit. Party sources said the group would meet Congress legislators and other leaders at the state guest house in Jammu on Sunday. “The group will meet 25 delegations of the civil society and mainstream opposition parties of the state,” party sources said. “Members of Jammu Bar Association, Chamber of Commerce and Industry, Kashmiri Pandit migrants and West Pakistan refugees are among the delegations scheduled to call on the group in Jammu on Sunday,” party sources said.